In late July I traveled to western Brazil to scout locations for a future photo tour. The main wildlife attraction in the area is jaguars--it's the best place on earth to see and photograph them in the wild--but there's loads of other wildlife as well. I've made several trips to the Latin American tropics, so I've seen a fair amount of fascinating and colorful birdlife already, but this trip offered up plenty of new species or better photo opportunities with some animals I'd encountered in the past. It was a great trip. I've segregated my images from the trip so that the bird photos get their own photo gallery, which you can see here on my website. A short preview is below. We saw several different parrots and parakeets, including the colorful Turquoise-fronted parrot. Much of the area we explored was wetland, so there were countless heron and ibis species. 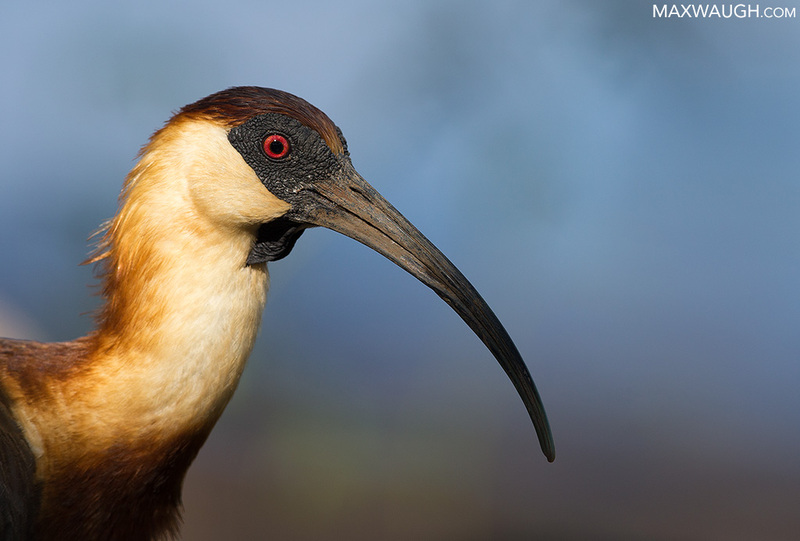 This is the Buff-necked ibis. 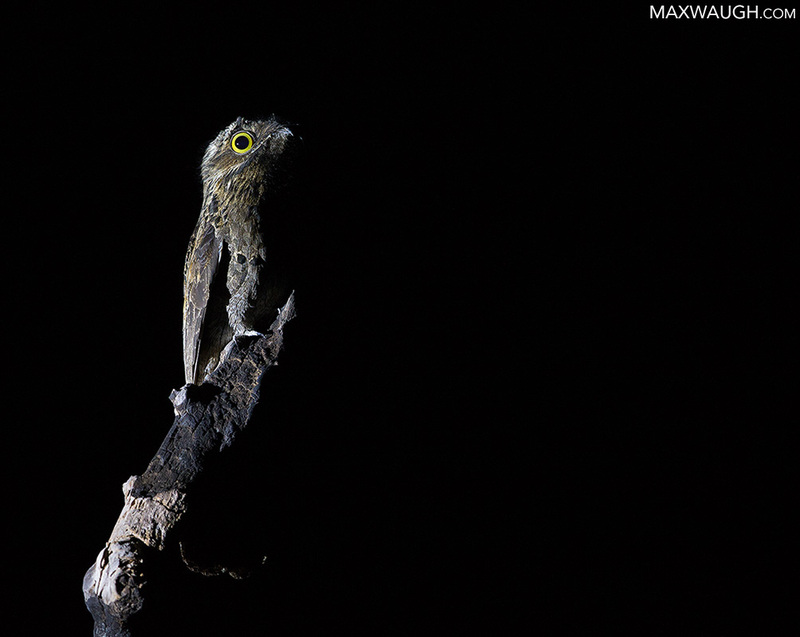 Night drives were fruitful, giving me my best photo ops with nighjars and potoos, including this Common potoo. 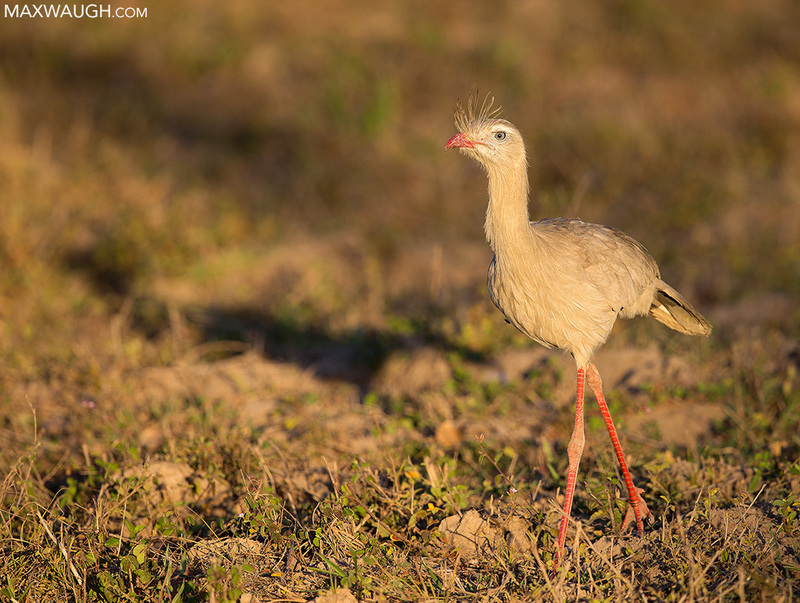 The Red-legged seriema is Brazil's answer to the Secretary bird. 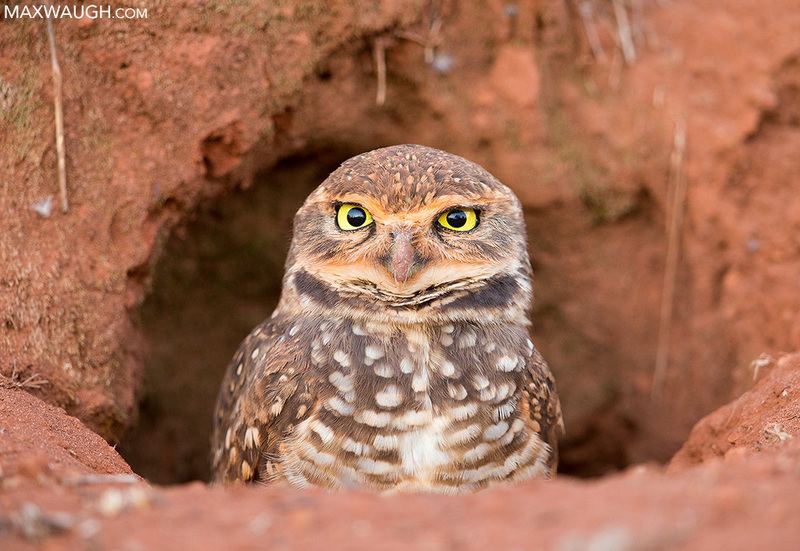 I saw four different owl species, including several Burrowing owls in Emas National Park. The reddish dirt was common for this area. The Pied lapwing was a handsome species I'd never seen before. 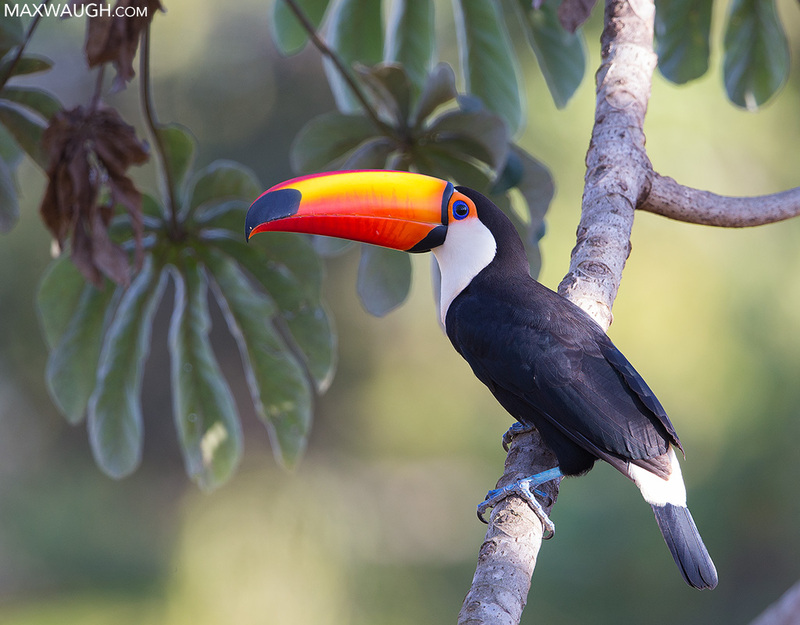 The Toco toucan is quite colorful, and fairly common in the area. Nonetheless, I didn't get a decent photo op until my final morning. 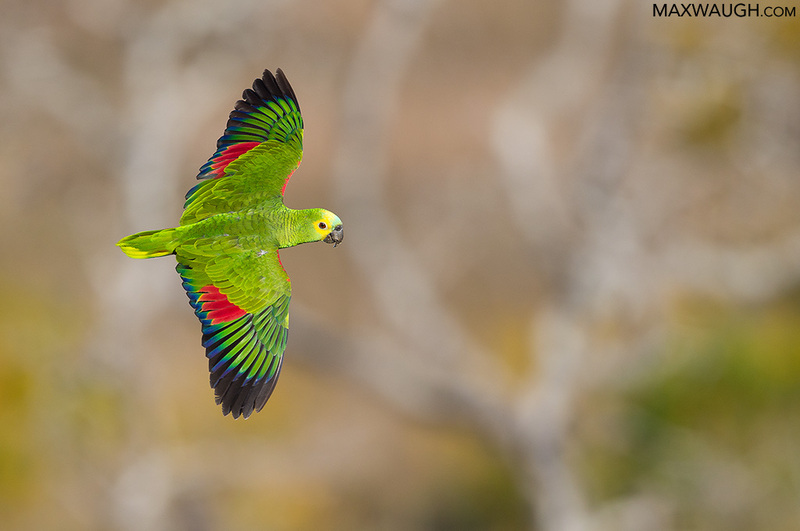 View the full Brazil 2017 Birds gallery here. Jaguar and other wildlife photos will be coming soon. These were spectacular photos, Max! Your blog showed such a wide variety of specimens! I'll be waiting expectantly for your non-bird follow up. All of those pictures look even more stunning and spectacular than ever. Could it be the new resurrected forum making them look so good? The first parrot is so striking but my favorite is the toucan with the detail in his bill and his big eye. Enjoyed your photos. The Toucan colors are so vivid. The common pooto sure is an unusual looking bird. Thanks, everyone. I'll preview the rest of the trip images in a separate post shortly. Max, gorgeous photos as usual. Your work is a love/hate thing for me, I love seeing them and hate that my work pales in comparison. Max, your images are stunning! The Pied Lapwing looks almost identical to the Black-necked Stilts that occasionally pass through MT. I've only seen them twice...once along the Stillwater River near Nye and once at Swan Lake Flat in the Park. Sightings have been on the decline in MT in recent years and they're now considered by the State to be a species of concern. Not sure why. Perhaps they're on a different migratory route. I'll see if I can dig out and post a pic of the Black-necked Stilts. I'd be interested to know what you think. Last edited by yellvet on Sat Apr 21, 2018 4:52 pm, edited 1 time in total. Max, below is a link that shows some Google images of the Black-necked Stilts in MT. Thought this approach would be much faster than trying to go through all my bird images that I've taken over the years. The birds look very similar. What do ya think? Do you think that they're related? Just read that the Black-neck Stilts winter in South America. So it might even be the same bird? I don't know they're any more closely related than they would be to other types of waders. Stilts are pretty widespread, and I've photographed different species both in Latin America and Africa, and they're found in the far eastern hemisphere too. Plovers come in different shapes and sizes. 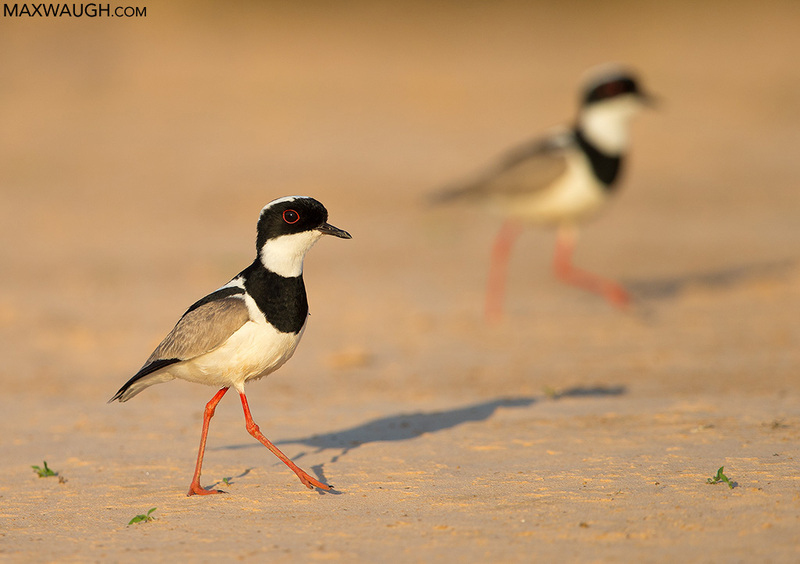 These plovers are rather small (noticeably smaller than stilts), but there are some species previously classified as lapwings that are now called plovers, which are larger in body size (e.g., the Blacksmith plover in Africa). I would guess that stilts are more closely related to avocets than they are to plovers, but I could be wrong and that could simply be a case of parallel evolution.